Michelangelo would not be pleased. 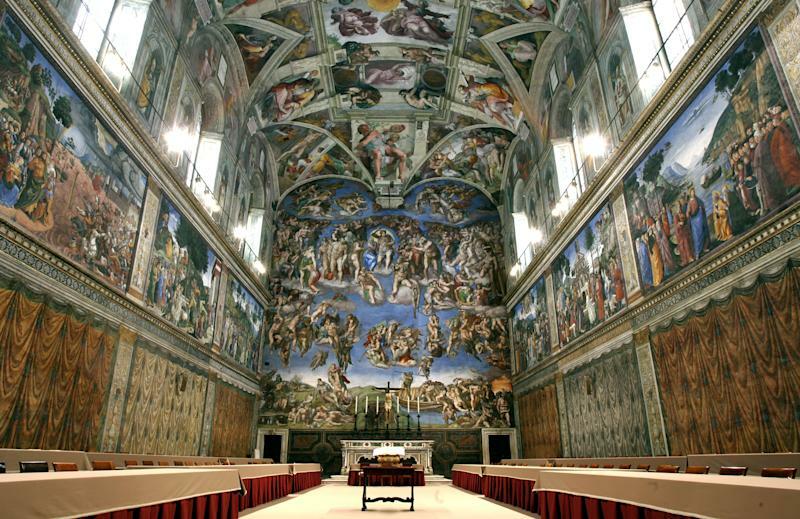 Now, the head of the Vatican Museums, Antonio Paolucci, is warning that, if new air conditioning and air purifying systems that are being installed at the facility don’t significantly cut the pollution levels in the chapel, he will have no choice but to limit the number of tourists who visit the site. As it stands, more than five million people visit the Vatican every year, with more than 20,000 people a day stopping in the Sistine Chapel to view Michelangelo’s masterpiece. That number is up more than three-fold in the last 30 years. Instituting visitor limits would be “painful,” Paolucci said Thursday, but he remains confident that the new systems, which are scheduled to go online by the end of 2014, will serve their purpose and protect the works from further damage. The ceiling was last restored in the 1990s, but that work has been criticized for leaving the frescoes too bright, and Vatican officials say they are not interested in repeating that experience. "There won't be any more restorations," Paolucci said, explaining that such efforts can be “traumatic” to the artwork. "But maintenance continues." After all, we all learned in 2012 how wrong fresco restorations can go when a well-meaning amateur artist in Spain attempted to “fix” Elias Garcia Martinez’s “Ecco Homo (Behold the Man),” which had been painted directly onto a wall at a church near Zaragoza in about 1930. Jeers of “Behold the Monkey” echoed across the Internet for weeks after photos of the finished product surfaced online. The Sistine Chapel itself was completed in about 1481 and Michelangelo worked on the ceilings between about 1508 and 1512. He returned later in his career at the request of Pope Alexander III to paint “The Last Judgement” on the chapel’s altar wall between 1535 and 1541.